Description : After Shub was defeated and the Slipgate War ended, the UAC made enhancements to the Laser Cannon prototype. After modifying the prototype to stabilize the energy bolts, the HyperBlaster was formed. This weapon spits out orange blaster bolts at a high speed from its 4 rotating barrels. While not as powerful per shot as the Laser Cannon, it sports a longer range, is more effective against armor, and lacks the predecessor's dangerous ricochet. Special Features: Long spindown time. I love this model. Wouldn't you like to be able buy one at your local arms dealer just to show it off to your friends? 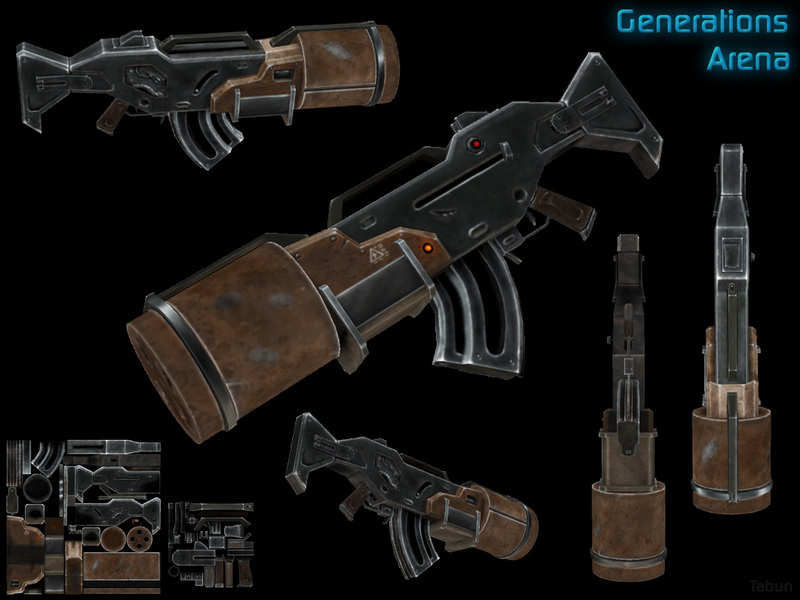 Because of that, when I don't have the chaingun and want rapid fire I go for the Machinegun. I actually like the Hyper better than the doom version.. which also has a delay after you stop shooting (tho it might be a bit shorter, not certain). Doom might be able to use his weapon a bit better tho, but that's only because he runs faster. Doom's Plasma delay IS shorter, bout the plasma balls have a much better area of hitting then the Hyperblaster. Plus all those balls of plasma can sometimes obscure your vew of the opponent, unlike the Hyperblaster's tiny ones. Quote: "Plus all those balls of plasma can sometimes obscure your vew of the opponent, unlike the Hyperblaster's tiny ones." -_- I meant the enemy getting HIT by the plasma balls, not the one letting them loose. I can see them just fine when I fire the Plasma Rifle. The hyper, like any gun, has its uses. It does more damage than the machinegun you spawn with and (in Q2, not a feature in Gen at present) does a better job of hurting players through their armor than non-energy guns. In Q2 I actually manage to get an absurd amount of frags with it on warehouse and Slimy Place. I'll take the hyper over the machinegun for a slugging match any day.